Bodysuit The Little Prince and the sheep "Dessine moi un mouton"
White T-Shirt for Kids 100% Cotton The Little Prince and the Sheep with the quote "Dessine-moi un mouton"
In Store ! Blue Little Prince Scarf made of Silk. Size : 40 x 140 CM Color : Sand. Made in France. Protect yourself from the sun with this baseball cap. The Little Prince is embroidered on the front. Be a Little Prince fashion addict from head to toe this summer! This beautiful baseball cap is embroidered with the iconic hero of Antoine de Saint Exupéry. This pretty cap embroidered with the effigy of the Little Prince, will accompany you all summer to protect you from the sun. Don't go unnoticed this summer at the beach with this pretty cap The Little Prince in costume. 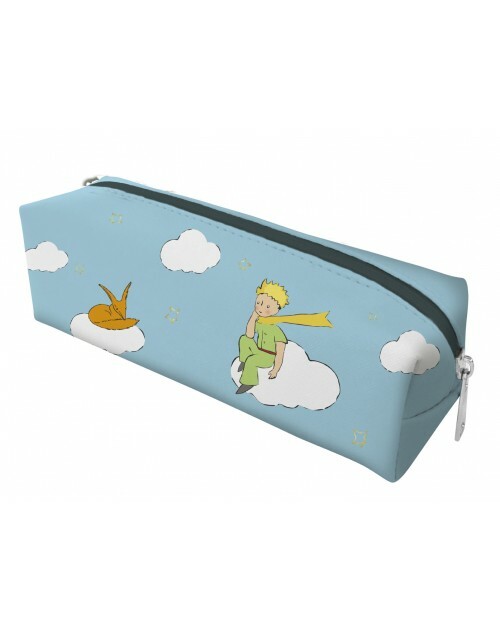 Show your passion for The Little Prince with this nice cap. Great classic of the summer wardrobe, the cap The Little Prince will accompany you throughout the season.